Happy Halloween from Charlie (center), Big Jack and Little Jack. Author rrideyPosted on October 27, 2005 Categories Charlie, Observations, White SoxLeave a comment on Top of the World! 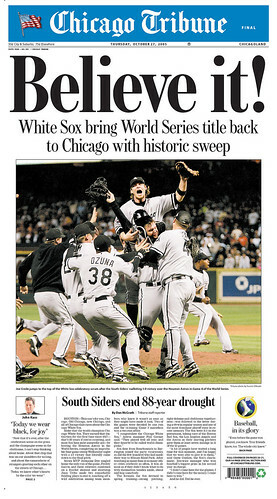 Author rrideyPosted on October 17, 2005 Categories Baseball, White SoxLeave a comment on The White Sox Win the Pennant!